Now in limited release for review! For the first time in over 3,000 years, the mechanics of the Biblical Sabbath for the Land are revealed as an elegant system for environmental health, national defense, and individual liberty. 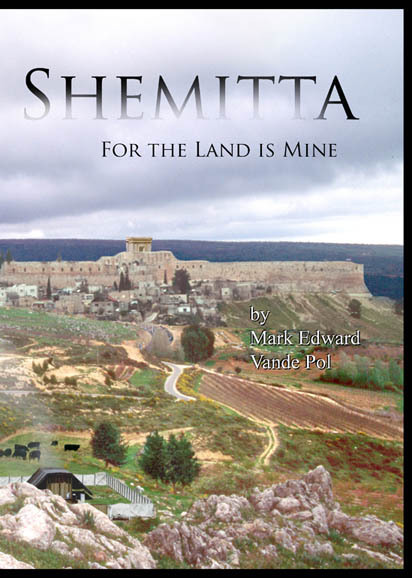 Shemitta: For the Land is Mine combines a narrower interpretation of the Hebrew in Exodus 23:11 with a scientific analysis of the larger system described in Leviticus 25. Once these principles are understood, the blessings of national independence and prosperity versus the curses of disaster and slavery promised in Leviticus 26, are fully revealed as almost mechanical consequences of the willingness or failure to heed the instructions in the Torah. These principles operate without spatial or temporal constraint. They are as valid today here in America as they were in Israel when Joshua crossed the Jordan. By offering this on CD, we can include over 650 photographs documenting the disastrous results of "environmental preservation" contrasted with what can be accomplished by people through active restoration ecology. The book is fully annotated for both Biblical references and the latest scientific literature. The book also imparts a serious warning beginning with the historical background of accruing corporate globalist corruption and tyranny along with detailed examples of its sophisticated modern forms. It then recasts the Biblical solutions in a modern setting, a common sense series of simple steps most anybody can make to improve their position in uncertain times. These solutions center on a re-unification of mutual respect and love for the land between the agro-urban public and the pastoral people of the land. Shemitta: For the Land is Mine, Copyright © 20009 by Mark Edward Vande Pol, all rights reserved. No part of this book may be transmitted, archived, or reproduced in any manner or form without written permission, except as directed by the fair use doctrine under United States Copyright Law. ISBN 978-0-9711793-1-8, Contains: 215pp text, 787pp overall, 14 picture books, 2 tables, 674 photographs, 9 maps, 2 drawings, 1 chart, 143 footnotes, 357 Biblical citations, and 135 other source references. Now entering its second printing! This book is an important contribution to the growing field of free-market environmental management.  It is a serious, and technically demanding multidisciplinary work. The first printing is nearly gone; the author retains fewer than 200 books for those with a serious interest. Natural Process: That Environmental Laws May Serve the Laws of Nature, ISBN: 0-9711793-0-1. Copyrights © 1999, 2000, & 2001 by Mark Edward Vande Pol. All rights reserved. No part of this book may be transmitted, archived, or reproduced in any manner or formwithout written permission, except as directed by the fair use doctrine under United States Copyright Law. The business method described in this book is covered under US Patent 7,401,036. First Edition published 2001 by Wildergarten Press, P.O. Box 98, Redwood Estates, CA 95044-0098. Library of Congress Control Number: 2001092201. 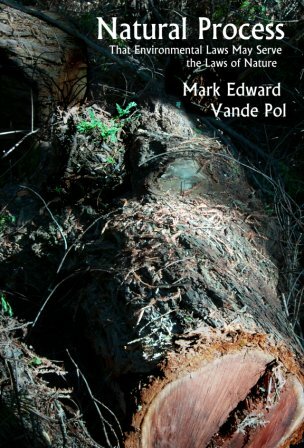 Vande Pol, Mark Edward, 1954- . Contains: 454pp, 5 Figures, 8 Photographs, 15 Charts, 2 Tables, Bibliography, and Index.